Preheat oven to 400 degrees. 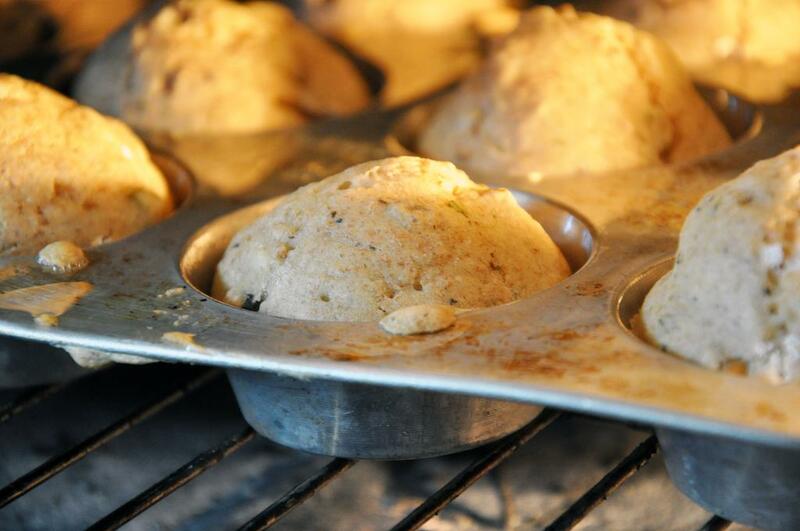 Coat a muffin pan with cooking spray and set aside. In a small bowl, pour in soy milk and white vinegar. 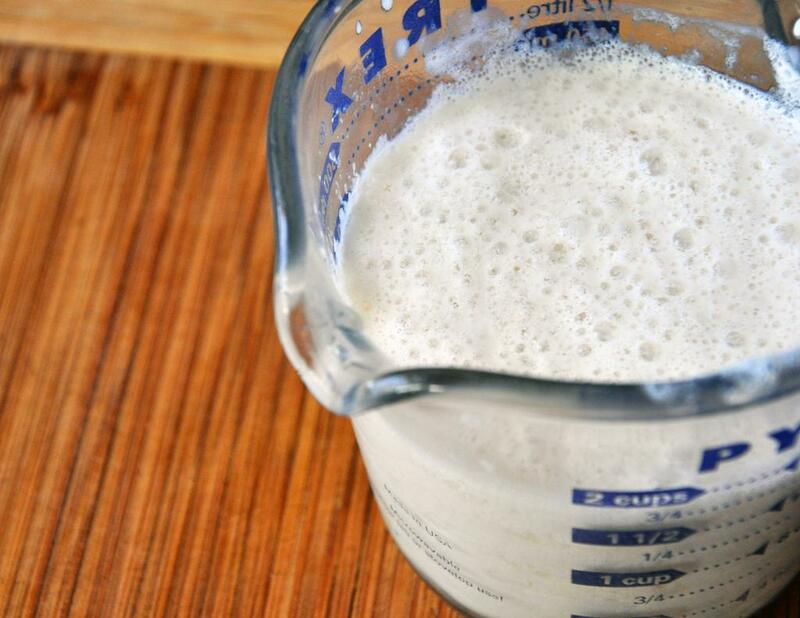 Let sit 10 minutes to make a soy buttermilk. In a medium skillet over medium heat, add EVOO. 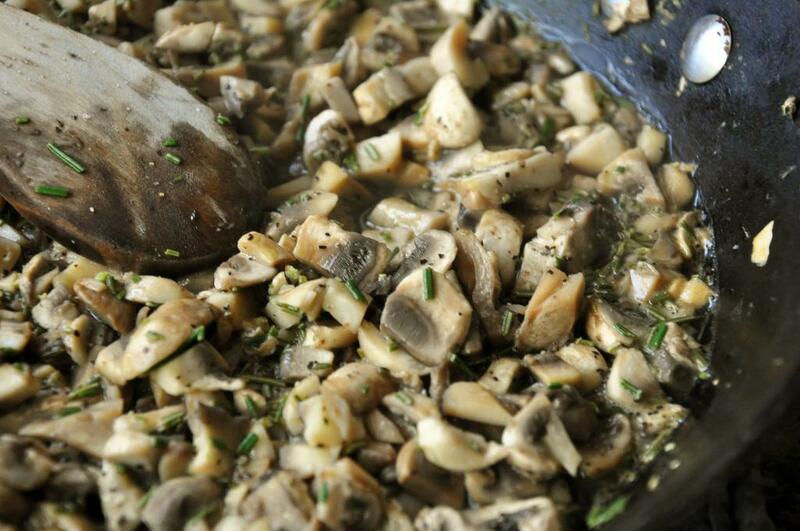 When hot, add mushrooms, SnP, sherry and rosemary. Sauté until most of the liquid has evaporated, about 10 minutes. Turn off heat and let cool. In a large bowl, beat eggs and add cheese. Pour in soy buttermilk and whisk well. 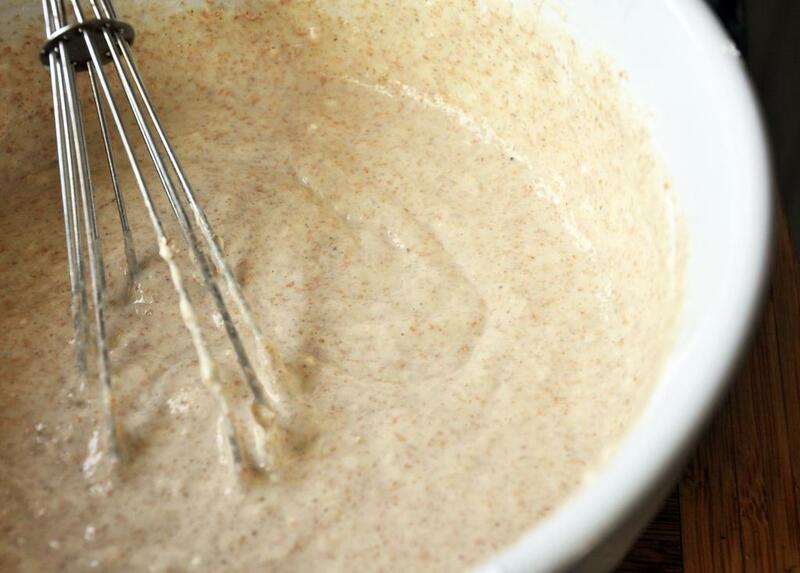 Add flours, baking powder and baking soda and whisk to incorporate well. 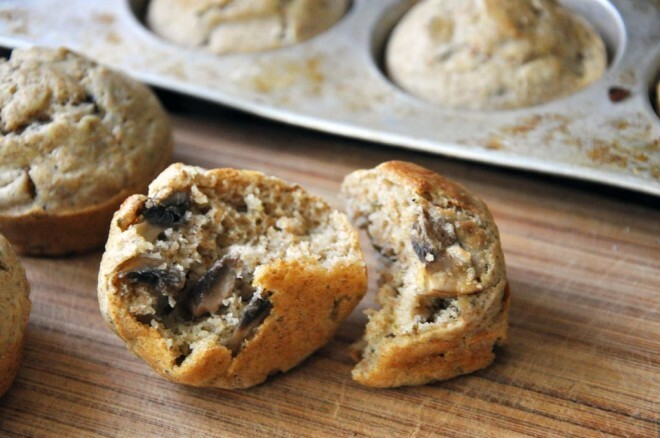 Fill muffin cups about 3/4 full and bake for 20-22 minutes until puffed and golden. Let sit in pan 5 minutes, then remove to a wire cooling rack. Repeat with remaining batter.